A quick blog update about Easter Ninja. My initial concern for the conference reflects my previous concerns about evangelical authors, publishers, conferences, and churches misappropriating Asian culture in stereotypical ways. I have stated my concerns about this pattern in my books and in numerous blogs. I am so tired of dominant culture “using” another’s culture to promote a marketing agenda. Other cultures do not exist for dominant culture to exploit and stereotype. That is not God’s intention for culture. I see this as a larger problem of evangelicalism’s inability to properly engage other cultures in a healthy and appropriate way. In other words, my concern is not just one conference or one publisher, but a problematic ethos in American evangelicalism. I am truly sorry that my attempt to raise a problem within evangelicalism would disproportionately effect individuals, in this case, the organizer of this conference. I had a great conversation with the organizer of the conference a few nights ago. I appreciated his willingness to engage this issue. I appreciate his explanation of the use of the theme and the use of the images. I understand his assertion that “ninja” has moved beyond a specific cultural expression in American culture. I have heard kids talk about ninja skills without necessarily connecting it to Asian culture. I can understand where the use of that term could have no specific cultural reference, maybe most evident among kids and teens. (Whether adult conferences geared towards pastors should use terms that make the most sense to kids and youth is another matter, but not an issue of racial justice). I think my concern was that not only was the phrase employed, but that the images that went along with the phrase reflected stereotypes and racially and culturally-tinged images. Towards that end Bob has agreed that the images may be sending the wrong messages (unintended as they may be) and is willing to re-work those images so that they do not evoke racially and culturally insensitive stereotypes. My gratitude towards Bob for his willingness to do this for the sake of Christian unity. I am aware that Bob definitely received blowback from previous issues that seemed to be reflected in his conference. I.e. – previous issues with Deadly Viper and with Lifeway clearly heightened the level of ire over the images used for this conference. But that history is not in Bob’s control or purview. I was particularly upset that Lifeway (which never publicly apologized for their actions over a decade ago) would continue in this vein. So my sincerest apologies for not making a clear distinction between past history and present issues and how that blew back on one particular individual. That’s a fine line we Christians need to continue to work through, particularly in the realm of race relations, but that’s another issue for another time. Bob and I agreed to disagree about the bringing of this issue to the public forum. I continue to contend that a public sin needs to be addressed publicly. This has been a question raised in previous issues as well. If someone has an issue with a public action I put forth, such as the writing of a book or the creation of a website, I believe that offense can and should be addressed in public. For example, because my books are in the public realm, I have no problem with a opposing review in a public forum. If I make a website that reflects a deep offense, I believe it is appropriate for that issue to be addressed publicly. Otherwise, we revert to back room conversations and never learn from each other. I am learning from this public issue. I am learning that Twitter has a particular role different from Facebook and from blogs. I always assumed that blogs were the places to start protests, not Twitter. Twitter was for silly soundbites and quick throw away lines. I prefer blogging to really unpack what I want to say, not a 144 character message. I am learning that I need to be clear about my distinction between guilt and shame. Guilt operates in the individual personal realm and leads to individual change. Shame operates in the corporate, public realm and should lead to systemic transformation. Guilt should be felt by the individual, shame should be experienced by the community. My first two books both have sections on Western guilt and non-Western shame. If this blog post seems disjointed and somewhat incoherent, my apologies. I’m a bit swamped with several projects with imminent deadlines and am writing this post on the fly. Let me say up front that I am pro-life, which is not a popular position right now. But I believe that the Scripture calls us to advocate for all life. However, I am deeply disappointed in those that are supposedly leading this charge in our common political life. And I am deeply disappointed in those of us who have bought into a miracle strategy that has disappointed us for the last thirty years. So I offer my take on the miracle strategy against abortion as offered by the religious right for the last thirty years. Find a candidate for President who is pro-life. He must be a pure pro-life candidate who is singularly dedicated to overturning Roe vs. Wade or at least offer up the rhetoric that he would be dedicated to this task. He must not waver (from now on) in this one quest. We must ignore all other elements of the candidates’ policies and ignore numerous unbiblical aspects of his platform. Get that candidate to win his party’s nomination. Even if (see above) you end up supporting unbiblical aspects of the candidates’ platform. Eventually we may actually like some of these policies. Next, get that candidate to win the national election. Be sure to demonize the opposing party’s candidate by any means necessary to get your pro-life candidate elected. One potential side effect: we may end up supporting a campaign financing structure that completely destroys and undermines the democratic process. Once that President is in office, wait for a death. Or more realistically, multiple deaths. We will need at least one, most likely two Supreme Court justices to die. And it has to be the right Supreme Court justices that die. Not one of the ones we like. Bring the right nominee for the Supreme Court. He must be someone who is unequivocally pro-life and committed to overturning Roe v. Wade. At the same time, there can be no indication in any of his rulings that he is pro-life because that would derail his candidacy. Pray that he is an activist judge (i.e. – willing to change the law of the land from the bench on issues like abortion and health care) but at the same time a non-activist judge (unwilling to change the law of the land from the bench on issues regarding civil rights). 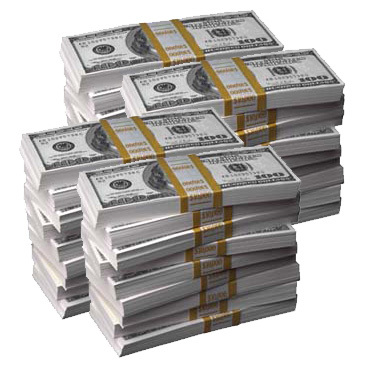 Wait for the right court case to come along that makes its way through the entire federal court system in a timely fashion, before the makeup of the court changes. So this time, we’re NOT praying for a death, at least not the death of one our judges. Be sure to elect the right President to a second term so that the court’s makeup doesn’t change again. When the right court case comes along, pray that it is worded and framed in just the right way so that it is able to overturn Roe v. Wade. We must also pray that none of the justices have shifted in their thinking or that they may actually want to adjudicate the law rather than make the law. (Thanks a lot Justice Roberts for acting upon your judicial morals rather than politicking from the bench). Make sure that Congress will not create any new laws that would undermine the SCOTUS decision. So now we must work in every state to insure that the right candidates get elected into office, even if that means we continue to tolerate unbiblical values in the government. Essentially, this approach has been our strategy for the last thirty years. How has it worked so far? Every Christian needs to have read something by Andrew Walls. Even if it’s a portion of his writing, like the landmark article, “The Ephesian Moment.” I offer a review of one of his foundational works. 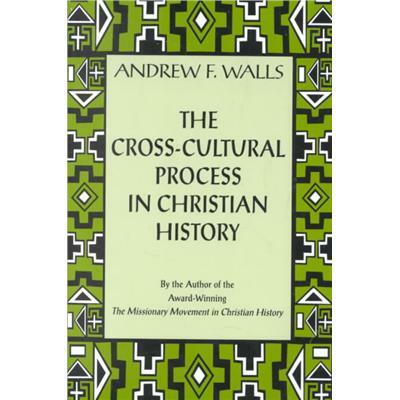 In The Cross-Cultural Process in Christian History, Andrew Walls seeks to provide missiological and theological insight into the significant changes that have occurred in Christianity, particularly during the twentieth century. Walls’ primary intention is not to document or statistically verify the demographic changes in world Christianity, but instead, to focus attention on the ways that the ongoing cultural adaptation of Christianity contributes to these demographic changes. Beginning with the historical event of the cross, Walls examines the sweep of church history. Walls proceeds to reflect on the ongoing movement of God in the current context of world Christianity and emphasizes the cross-cultural, barrier-crossing nature of Christianity – a process that has endured for over two thousand years. The ongoing story of the Church relies upon the cross-cultural process of adaptation and transmission for its robust growth. Walls’ thesis leads to an explication of the Ephesian moment in church history. Walls describes the Ephesian moment as the emergence of a new cultural expression of Christianity that is not an abrogation of an older expression, a syncretism with a newly encountered expression, nor a synthesis of the old with the new. “The very height of Christ’s full stature is reached only by the coming together of the different cultural entities into the body of Christ. Only “together,” not on our own, can we reach his full stature” (77). For Walls, the ongoing crossing of cultures and the embodiment of Christ in different cultures is the fulfillment of the move of God in the church. “The Ephesian moment, then, brings a church more culturally diverse than it has ever been before; potentially, therefore, nearer to that ’full stature of Christ’ that belongs to his summing up of humanity” (81). The Cross-Cultural Process in Christian History is a landmark book in the study of missions and church history in the twentieth century. Walls successfully contrasts the 1910 World Missionary Conference in Edinburgh with the subsequent changes in world Christianity. 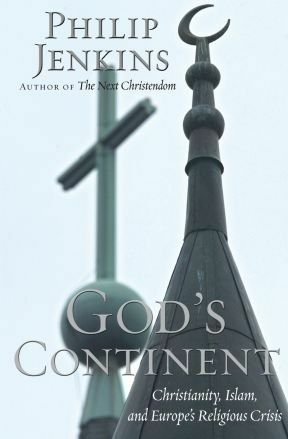 While the 1910 Edinburgh Conference anticipated the inevitable triumph of Western Christianity in the twentieth century, the actual history of twentieth century Christianity revealed a Christianity that went beyond the cultural boundaries of Western Christianity. Instead, the twentieth century witnessed the expansion of Christianity fostered by cultural adaptation. The strength of Walls’ argument lies in his ability to honor the work of Western missionaries in the 20th century, while simultaneously challenging the prevailing narrative of a triumphalistic Western missionary endeavor. In short, Walls honors the legacy of 20th century Western missions, but at the same time, offers an alternative interpretation of Western missions and points the church towards a dynamic future. Walls demonstrates the positive theological outcomes of these demographic changes and places these changes in the context of a larger view of church history. Walls claims that the Edinburgh conference “was a landmark in the history of mission; . . . the high point of the Western missionary movement and the point from which it declined” (53). Let’s be clear. In a secular state, a candidate’s religion should not matter. Religious affiliation should not categorically eliminate any individual from holding public office in a secular state like the United States. Freedom of religion allows our civic society to survive. However, I am becomingly increasingly disturbed by how much religion plays a dysfunctional role in our electoral politics. The co-opting of evangelicals by one political party has diminished the Christian prophetic voice. The converse of that trend would not help matters. The open process of electing a public official such as the President is rife with a wide range of perspectives and opinions. When our faith influences our politics, it can have a powerfully positive effect — such as advocacy for the very least of these. Or it can lead to a warped sense of election — that one candidate is anointed and the other is to be demonized. It happens on both sides. As a Christian and as an American citizen, I need to apply Biblical principles to my political choices, while at the same time, being careful not to force religious values upon a secular state. Specifically, I want to be careful not to elevate my high view of the United States to a form of idolatry. The conflation of American exceptionalism and American Christianity is a dangerous trend in American politics. It is an idolatry that must be challenged and confronted in Christian circles. There is an inherent danger when a nation sees itself as a chosen, exceptional people destined to be the hope and salvation of the world. This conviction carries over to other faiths. When Islamic jihadists justify violent actions in the name of God, it is also a misappropriation of religious faith. So I cannot put aside my dis-ease and discomfort with Gov. Romney’s view of American exceptionalism. Gov. 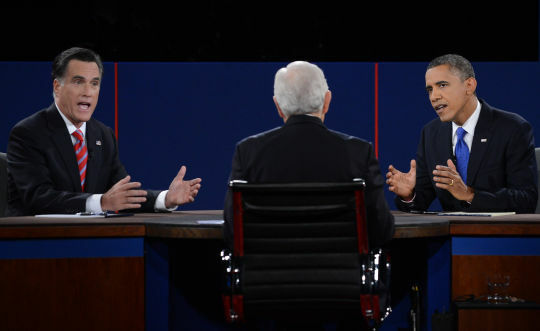 Romney closed out the third and final debate on Monday night with a disturbing statement that Christians MUST disavow. He said: “America is the hope for the world.” Even a cursory familiarity with Mormon theology would reveal that Mormonism holds to a high view of America as God’s chosen nation. America replaces Israel in Mormon theology. This perspective of American exceptionalism is also found in certain sectors of evangelicalism. There is NO Biblical support for American exceptionalism. America is NOT the new Israel. America is NOT the hope for the world. When a nation positions itself as the hope of the world, all sorts of possible abuses arise. When a nation claims that it carries out its actions in the name of God, there are no checks to that nation’s actions. A nation can act in any manner that it wishes because it is blessed and ordained by God. It is a form of jihad. Where any action can be justified because it is being carried out in the name of God. It is NOT a biblical worldview.